This discussion paper seeks to frame these challenges and opportunities and to provide some suggestion of what sector modernization and renewal might entail. It also presents a vision of a possible more sustainable future. The paper provides a brief historical overview as a way to help determine in what ways the current operating models may be stressed or unsustainable. The historical evolution of Canada’s social housing sector is described in more detail in an appendix. A second appendix also provides an overview of how systems have transformed or evolved across a number of comparable countries – the UK, US, Australia and New Zealand. Some of the lessons from this international experience helped to inform the vision set out for Canada. 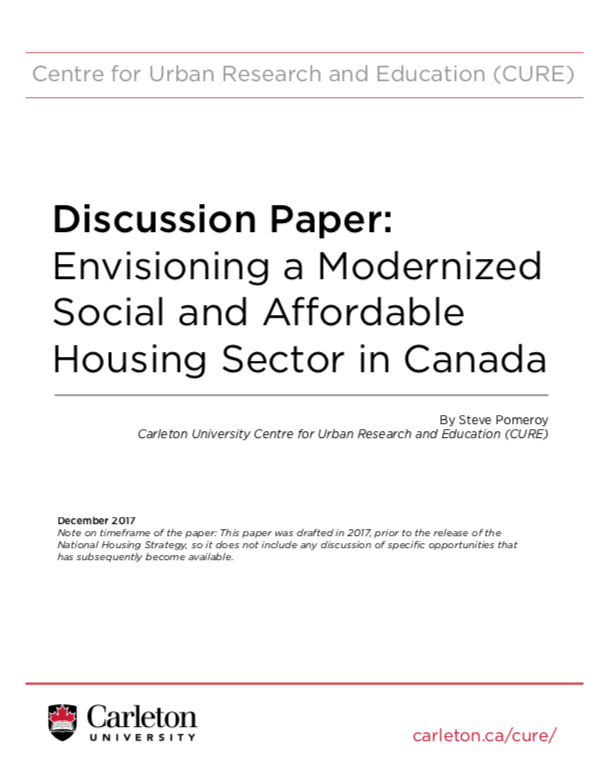 In developing and describing a possible future, the paper identifies potential steps and incentives needed to encourage or enable change (both among funders and providers) and the associated frameworks, tools and tactics that can address the specific challenges and opportunities facing the new and future stock of affordable housing in Canada.